The basilica, named the Martyrium, and the shrine, named the Calvarium, were destroyed by the Persians in 614. The Church of the Holy sepulcher which now stands on the site was built by the crusaders in 1149. However the feast, more than anything else, is a celebration and commemoration of God's greatest work: his salvific death on the Cross and His Resurrection, through which death was defeated and the doors to Heaven opened. 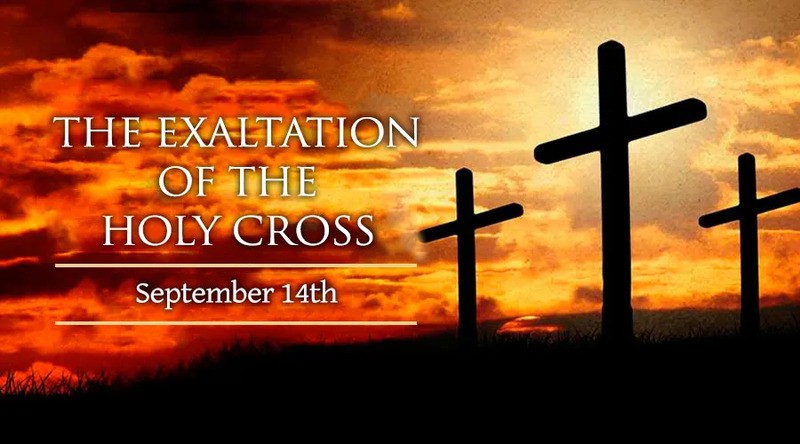 The entrance antiphon for the Feast of the Exaltation of the Holy Cross is: "We should glory in the cross of our Lord Jesus Christ, for he is our salvation, our life and our resurrection: through him we are saved and made free."